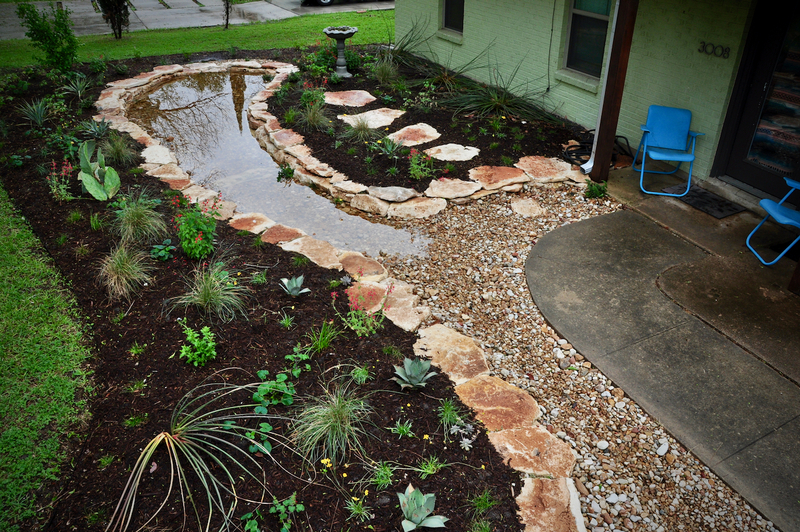 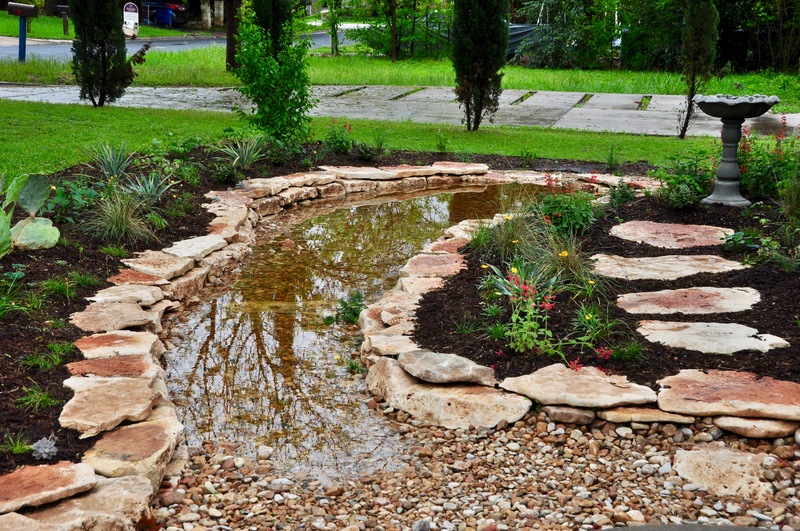 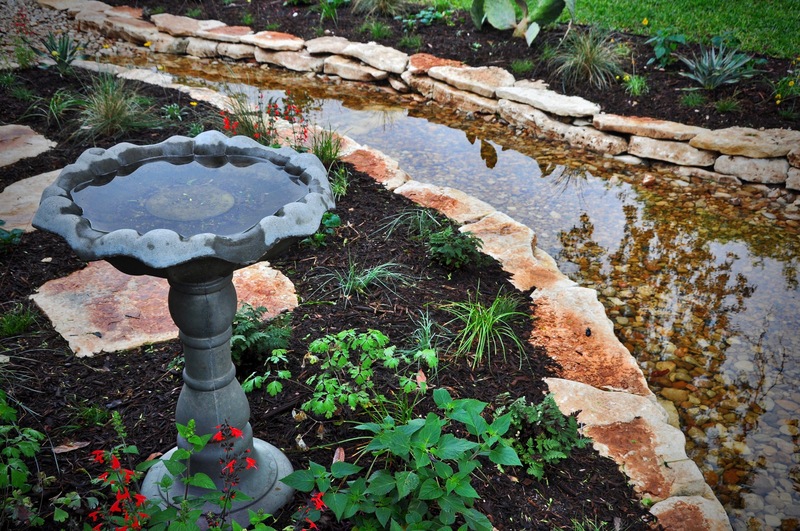 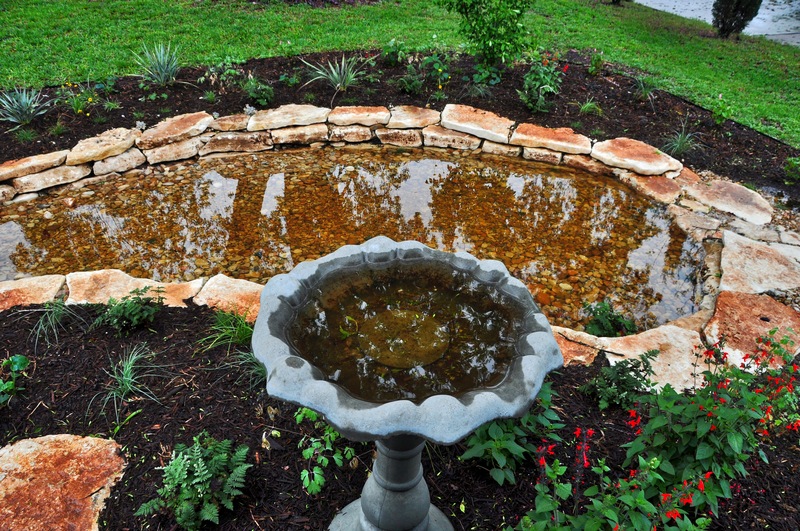 We created a front-yard rainwater garden for a South Austin homeowner. 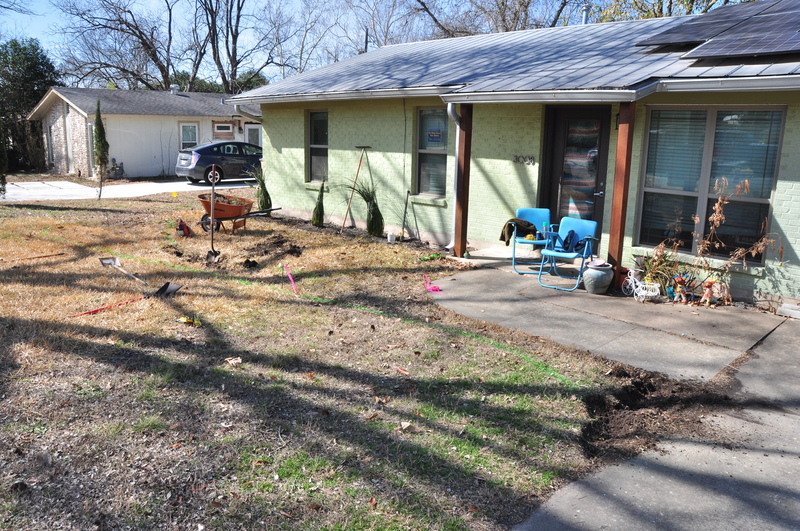 It solved a drainage problem where water from storms would sit on the front sidewalk and driveway. 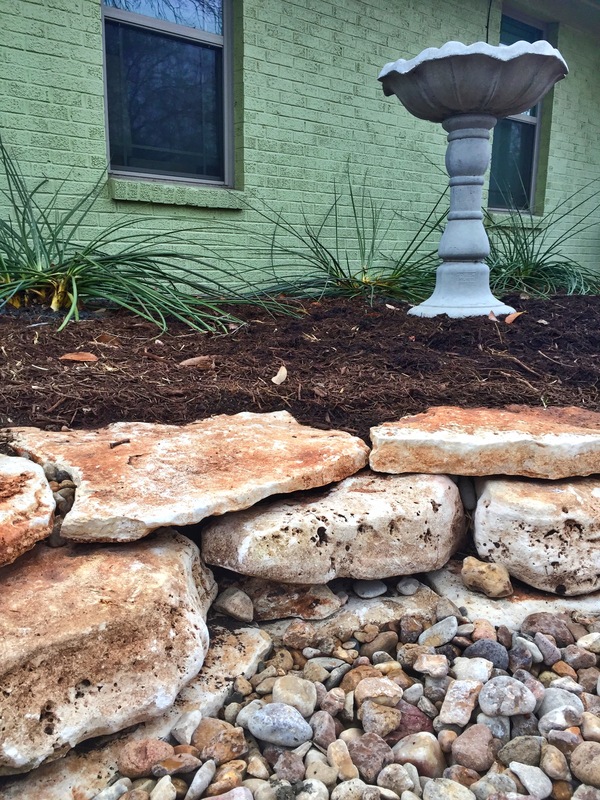 We used native Texas limestone and nearly 85% native Texas plants.